As one of the first dealers to sell wheelchair vans to customers online, we've perfected the process! Our Internet sales program in San Bernardino, California, is absolutely secure and amazingly convenient. While you stay home, you'll work online with one of our AMS Vans consultants who will help you select the right handicap van and guide you through the paperwork. After the sale, you can have your new or used wheelchair van delivered to your home or office in San Bernardino, CA, or surrounding cities such as Riverside, CA. Arrange for one of our mobility professionals to drive your wheelchair van from our office to you in the San Bernardino, California area, including cites like Riverside, California, and then fly home. To avoid accruing almost 3,000 miles on the van during delivery, have one of our professionals drive a car carrier with your adapted van aboard to your driveway in San Bernardino, CA. When you come to us in Atlanta, GA, to pick up your handicapped van, there's no charge. Most everyone that travels to us from San Bernardino, California receives a discount on the purchase price, simply for picking up their own adapted van. Experience our "White Glove Service" included with every delivery and pick-up. Take all the time you need with our mobility professional, who will show you how to use your handicap van, answer your questions, and offer some useful tips. We won't leave until you're comfortable operating the van on your own. With our satisfaction guarantee upon delivery, you may refuse your ramp van for any reason at the time of delivery. We'll return the vehicle to our office, void the sale, and process your refund. If you'd like, we'll meet you at the mechanic of your choice in the San Bernardino, CA, area and wait with you while an inspection is performed before making your final decision. During the AMS Vans conversion, untouched rocker panels and B pillars add structural safety, which means the process doesn't invalidate the vehicle manufacturer's warranty. All our used wheelchair vans are Certified used vehicles, having passed a rigorous 134-point inspection. We offer outstanding warranties on both the ramp and wheelchair van conversion. 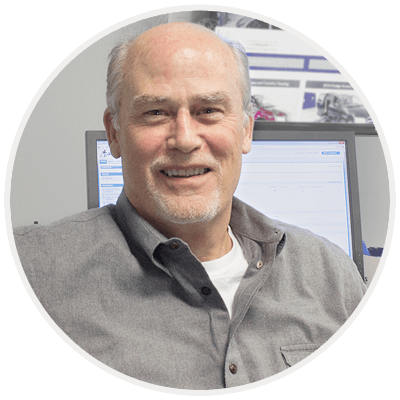 Speak with one of our consultants now at 800-775-VANS (8267) to learn more about our conversions and affordable, accessible vehicles. We'll determine your requirements and point out suitable handicap vans for sale in our inventory for you to consider. When you see one you'd like to own, we'll get the paperwork in gear while you stay home in San Bernardino, California. Become one of the thousands of satisfied customers across the United States that have purchased a wheelchair van from us. 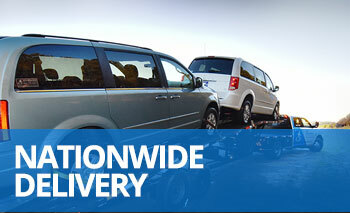 We hope to deliver one of our vans to your front door in San Bernardino, CA, in the near future!